With most teams hovering around the 41-game mark, it’s as good a time as any to predict the eventual winners of the major individual trophies for the 2013-14 NHL season… and perhaps make up new ones as well. But first, the legitimate awards. Sidney Crosby is the inarguable favorite for the Hart as things stand. Despite the Penguins’ vast injury woes, he has led them to the top of the Eastern Conference. Crosby has had a hand in a preposterous 45% of Pittsburgh’s offense, and is the league’s most productive player at even strength. Crosby has been the one constant in the Steel City this year and is the single biggest reason the Penguins are near the top of the league once again. Ovechkin is on pace for one of the best goalscoring seasons ever but has slumped recently and his Hart chances are hurt by playing for a fairly mediocre team… Kane has produced almost as much as Crosby, but does not face opposing team’s shutdown units at even strength (Sharp-Toews-Hossa)… Getzlaf is in the conversation but will likely see his goalscoring rate decrease in the second half of the year (currently unsustainable shooting percentage)… Should note that a Crosby injury is always a distinct possibility, as he has not played close to a full season since 2009-2010. The decision here isn’t much more difficult than it was with the Hart. Ben Bishop has taken a huge statistical step forward in 2013-14 after already being a quality goaltender beforehand, and has the Lightning ranked 6th in goals against average after the team slotted in at 26th and 30th in the two prior seasons. Bishop wins more than 66% of his starts, which is especially impressive in light of the fact that the Lightning have been missing Steven Stamkos for nearly two months. Among starters, Bishop is 1st in the NHL in save percentage and 2nd in goals against average. Put simply, Bishop is the odds-on favorite for the Vezina barring a second-half collapse. Harding usurped the starting job from Niklas Backstrom but is presently a less popular choice than Bishop due to the Wild floundering badly in December… Rask looks to be Bishop’s main competition but perhaps voters will be swayed by the Stamkos storyline (despite its irrelevance)… Fleury leads the league in wins but is merely above average in other measurables… Price is set at “on” in his on-year/off-year cycle but the Canadiens will likely regress in the second half (Montreal has a nasty tendency to be significantly out-possessed) and thus so will his Vezina chances. 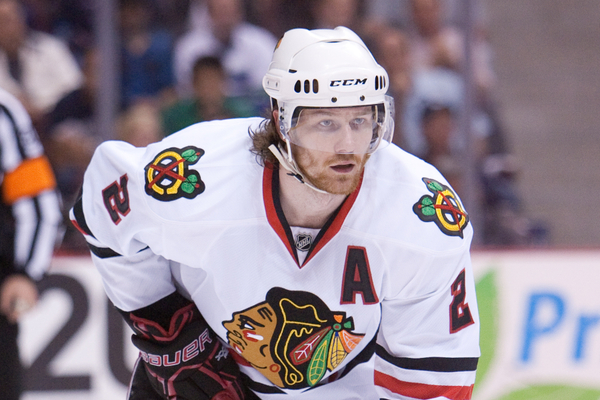 Duncan Keith has been dominant at both ends this season, racking up an absurd 36 assists (3rd in the NHL behind only Crosby and Joe Thornton) on top of his perpetually excellent defensive play. 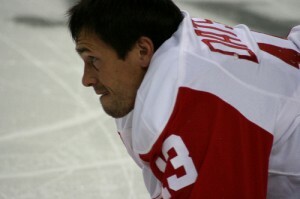 Some hockey fans have complained – perhaps rightly so – about criteria for the Norris becoming too offensive-focused. This season’s Keith is their happy medium. Karlsson is having another strong year from a point production standpoint, but his defensive play has been dreadful… Subban (like Keith) is not consistently used in a shutdown role, but Keith is on pace to outscore Subban by 20 points. Nathan MacKinnon appears to be the beneficiary of a fairly weak rookie class. Still, let’s not diminish what has been a strong first half for the Avalanche forward; he’s been a dependable scoring presence in all situations – an often undervalued trait (not every point is created equal). After averaging in the low teens early in the season, MacKinnon has earned progressively more ice time from Colorado coach Patrick Roy. His production rate will probably see a slight increase in the second half if this trend continues… although Roy will likely need to stop sheltering MacKinnon’s minutes first. Hertl was the odds-on favorite for the award until sustaining a knee injury that will keep him out of the San Jose lineup for an extended period. Really. What stands out more than a 63-goal season – as Ovechkin is on pace for – in a year in which no other player appears likely to surpass 45? Crosby’s been strong, but hasn’t had such a large edge over his competitors in any one area as Ovechkin has with his goalscoring… Ditto for Kane and Getzlaf… Ovechkin’s on track for the fourth most impressive goal total ever, adjusting for era (linked earlier) – no other player’s performance stands out more. As always, Datsyuk faces a very high quality of competition and the Red Wings nevertheless dominate puck possession while he’s on the ice. He remains the league’s best puck thief, yet again topping all other players in takeaways. Whether you use the stats or the eye test, Datsyuk is as exceptional a defensive presence as ever and seems primed to win this award for a fourth time. Toews is still an elite player in his own zone, but his measurables aren’t as impressive as Datsyuk’s in 2013-14… Datsyuk’s teammate Zetterberg may actually be the superior defensive player between the two, but there’s no reason to think voters will recognize this now when they never have in the past… Bergeron is having a down year but reputation alone will place him in the Selke conversation… Kopitar’s two-way game is vastly underrated, but fellow King Mike Richards is LA’s shutdown anchor. Throwing in guesses at who will win the purely statistic-based awards. 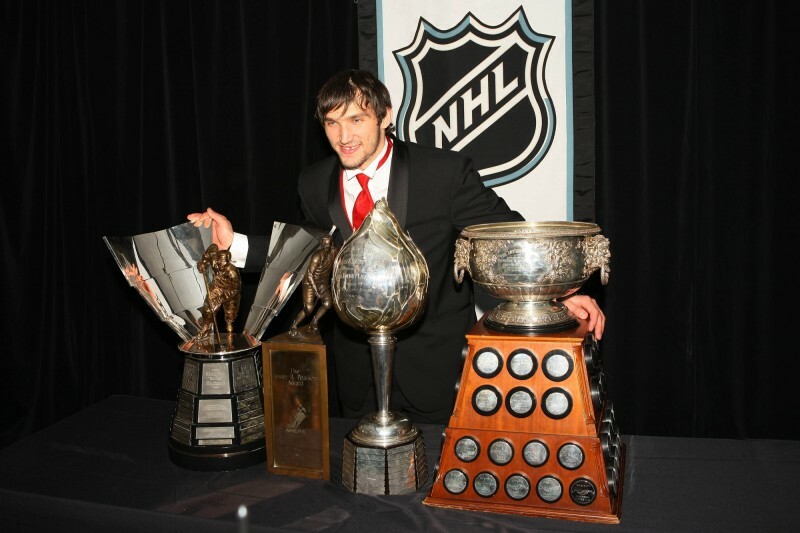 Maurice Richard Trophy (most goals): Alexander Ovechkin. 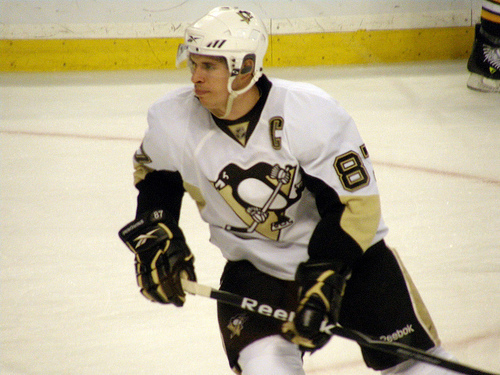 Art Ross Trophy (most points): Sidney Crosby. William Jennings Trophy (goalies from team with fewest goals against): Jonathan Quick, Martin Jones – Los Angeles Kings. For my money, Brian Burke has already won this award for the 2013-14 season. Yes, Brian Burke’s nightmares are now grounds for keeping players off Olympic rosters. Brilliant. Personally, I’m going to be having nightmares of Brooks Orpik lumbering around on international ice, inevitably failing to keep up with faster competition on the larger ice surface. It’s not as if the U.S. roster looks to be a little short on overall offensive ability. It’s not as if speed means anything on the bigger ice surfaces. It’s not as if Yandle’s a great skater. I’d be surprised if this doesn’t catch on among hockey fans. I had a nightmare the other night that the U.S. Olympic roster would manifest those who selected it as incompetent morons. Heh, look at that. Nightmare came true. This esteemed award is destined to go to the entire USA selection committee. I’ve already linked Scott Burnside’s piece once. Take a look at it now if you haven’t already. Someone explain to me why Stan Bowman is relegated to playing such a peripheral role (and that’s putting it generously). Yes, that Stan Bowman. The two-time Stanley Cup champion who masterfully re-tooled the Chicago Blackhawks and has them set to be perennial major Cup contenders for the next decade. Not a Bowman fan? How about Dean Lombardi, another very recent Cup winner and roster-building savant? Like Bowman’s Blackhawks, he has the Kings locked in as a huge factor in the championship discussion for a number of years to come. And yet he seemed to also be shunted to the periphery (albeit less so than Bowman). Meanwhile, David Poile is team USA’s general manager. Is it possible to slash the credibility of a man who brings up “Oshie has that shootout move” as potential justification for taking him over another (better) player? Perhaps it’s all of the playoff success of Poile’s teams during his tenure as Nashville’s GM that has earned him enough respect to manage an Olympic roster. All one of those playoff series wins. Yep. What a dazzling hockey mind. 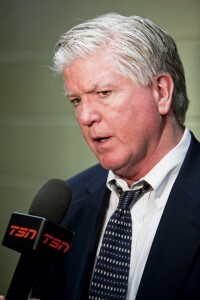 Brian Burke. Dearest Brian Burke, the thousand-year-old dinosaur whose effectively ancient team-building philosophy has not proven even remotely successful for at least a decade (he had little to do with the construction of Anaheim’s Stanley Cup-winning ’07 roster). The same Burke who led Toronto all the way to… er, nowhere. The same Burke who only recently even procured another NHL job after the Leafs fired him prior to the 2012-13 season. This guy’s input is dominating discussions of Team USA roster decisions? Then I suppose we shouldn’t be surprised that the lead-footed and offensively anemic Dustin Brown made the team over Bobby Ryan, Brandon Saad, Kyle Okposo, and about 6000 other better players.